If there’s one thing I love making, it’s a Disney-inspired smoothie bowl! 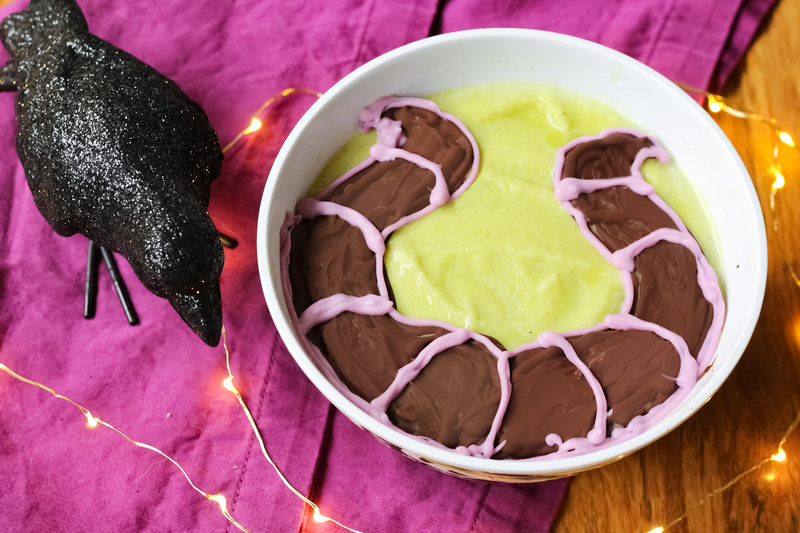 I decided to create my very first Disney Villain smoothie bowl, a Maleficent bowl that’s a matcha green tea vanilla smoothie topped with cocoa nibs. I love the flavor combination of light and creamy with a rich tasting chocolatey shell! Blend together your smoothie ingredients and then pour into a bowl. Place in freezer to keep frozen while preparing your chocolate. Using a stovetop or microwave, stir your 1/4 cup cocoa nibs and 1/2 Tbsp coconut oil together and melt together. Place in piping bag with small round tip. Pull bowl out of freezer and pipe on two cocoa horns. Place in freezer again while you prep the purple portion of your chocolate. Mix together white chocolate chips and grapeseed oil, melting. Once melted, add in your pinches of blue and red natural food coloring until combined and purple. Place in a piping bag with tip and pipe on horn stripes and outline the horns to make the design extra vivid. *Note: You won’t use all the chocolate, but I like to put extra in the ingredients list for easier piping.